This is a round Sweet-Orr Union Made porcelain sign. This particular Sweet-Orr Union Made sign is yellow with black and white text. 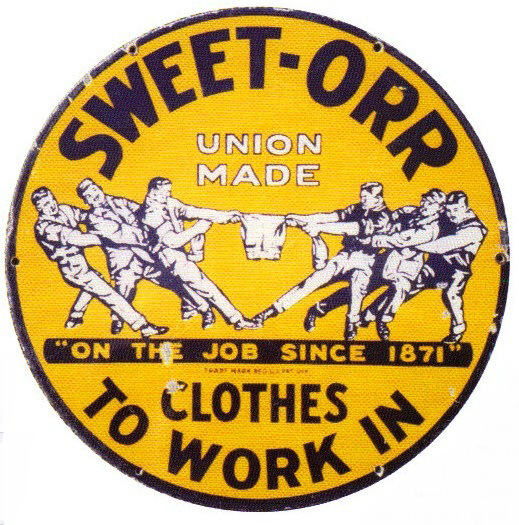 It reads, “Sweet-Orr Union Made Clothes To Work In, On The Job Since 1871” and features a group of men trying to tear a pair of Sweet-Orr Trousers in the center of the sign.